It probably can be said that there is a castle in nearly every small town in Germany. 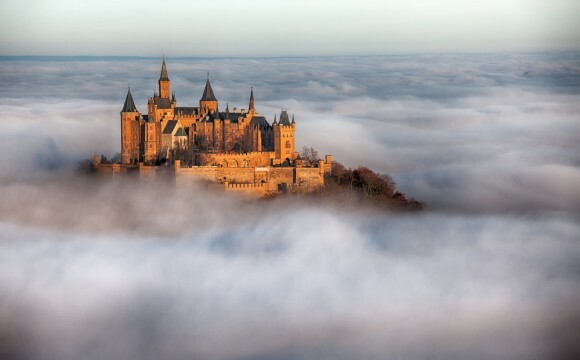 One that must be seen is the Schwäbische Alb jewel, Hohenzollern Castle. With its towers and turrets, this Baden-Württemberg castle is one of Germany’s most majestic castles. Situated high on a mountain-top, this formidable, breathtaking fortress welcomes you miles away. While we were touring, we met a couple from the Kaiserslautern area who decided this was an absolute “stop” on their last “PCSing” trip of Germany. And they were right! 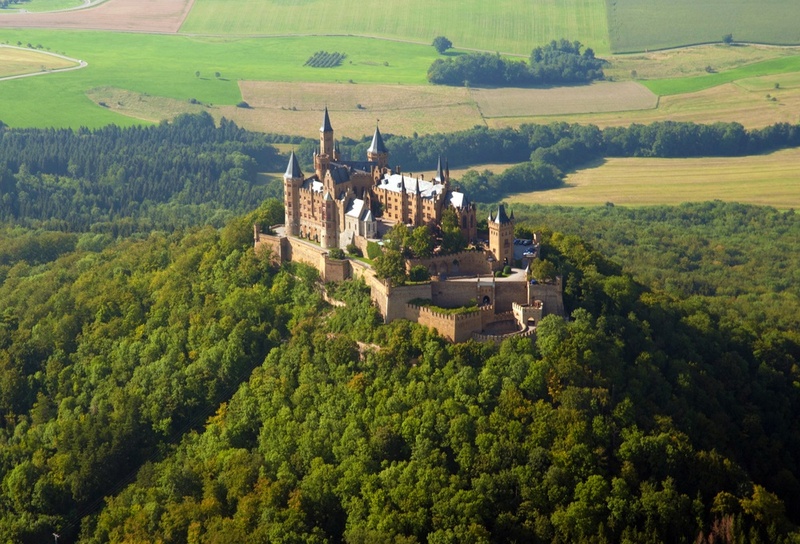 Hohenzollern Castle history dates back to 1061, and that wasn’t a misprint. The “Prussian” dynasty begins here and the family line intersects and expands through the Franconian and Swabian lines. If you love history, this is a castle for you. The lineage is documented on the walls of the entrance to the main castle, which is quite a site to see. Restored in the 19th century, Crown Prince Frederick William decided to turn the ruins of this castle into the ancestral seat of Prussia. The castle is still used today. 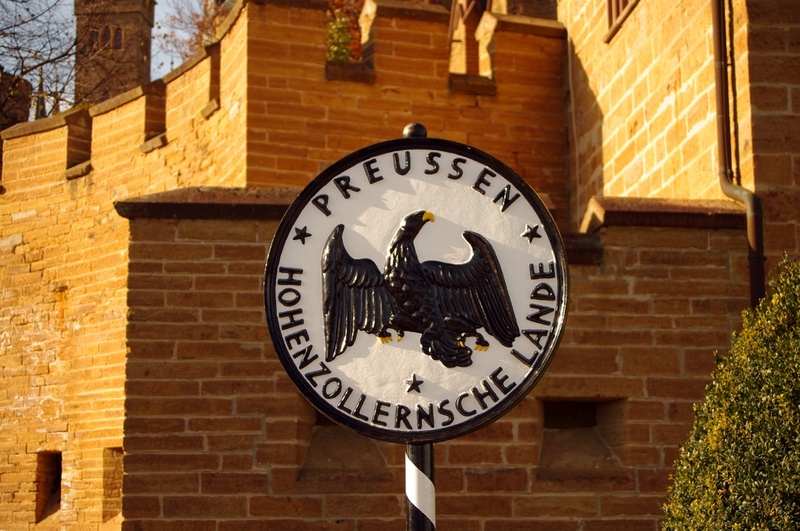 When Prince Georg Friedrich and his family are “in-resident,” the flag will fly from the tower to let the villagers below know they are there. This a tradition that dates back thousands of years. Tours in English are available weekdays ( 2 p.m. and weekends ( 11:45 a.m.; 2 and 4:40 p.m.) from March 16 to October 31. We lucked out and we were there just in time. Our tour guide was great and eager to answer all of our questions. I once worked as a docent in a historical museum and love it when museums take pride in keeping everything as historically accurate as possible. One of my favorite little notes on this trip was wearing the “big fluffy slippers.” You will be asked to slip these on to preserve the absolute gorgeous floors. Be sure to remember to look down as there are different marble and inlaid wood floors throughout the palace. Not to be missed is the treasury, which our guide walked us through at the end the tour. The royal Crown of Prussia was there as well as many other treasures including presents from other royal families, fine china and silver. 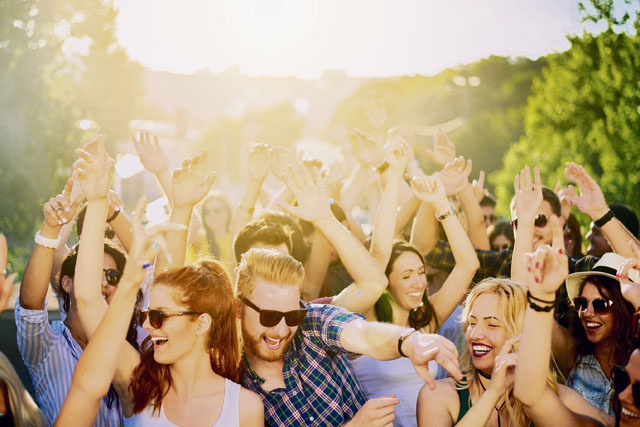 Though in German, children tours with special activities are held on German holidays and weekends at 3 p.m.. An English tour for kids can be conducted with a party of twenty or more. Call for more information at +49 (0) 747 12 428. We had wonderful weather for our touring day and decided to eat like royalty. 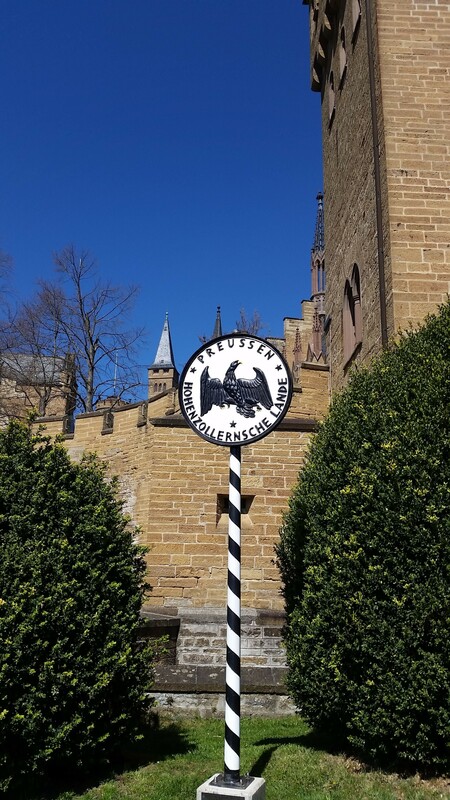 We enjoyed a perfect German lunch at the Café Restaurant Burg Hohenzollern and then later coffee and cake in the castle beer garden. Whether you prefer a sit-down meal or grab a snack or cake, this castle has an option for both. The views from the garden were unforgettable. Yikes! 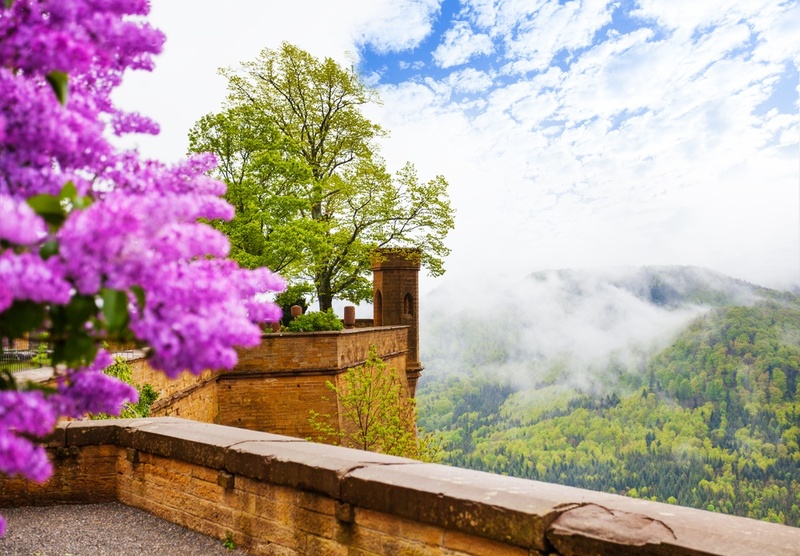 Once you arrive at the Burg Hohenzollern parking lot, there is a steep hike to the main castle. A shuttle bus is available one way or round trip for a small fee. If you have little ones or someone who wouldn’t like to hike, you should use this very convenient service. There is also a parking fee for your car, which is quite affordable for the whole day. The castle has a few very nice gift stores. The staff is very friendly and some speak English, like Maria who helped us with our tickets and getting started. 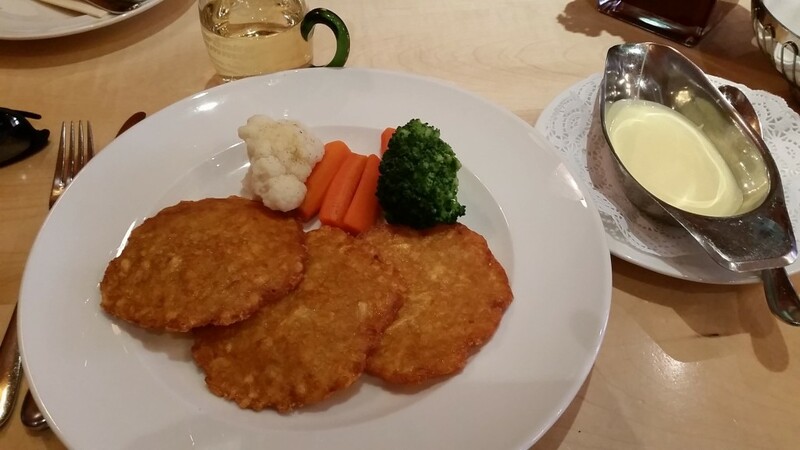 You can purchase regional specialties including Bärlauch Vinegar and Kümmel schnapps. 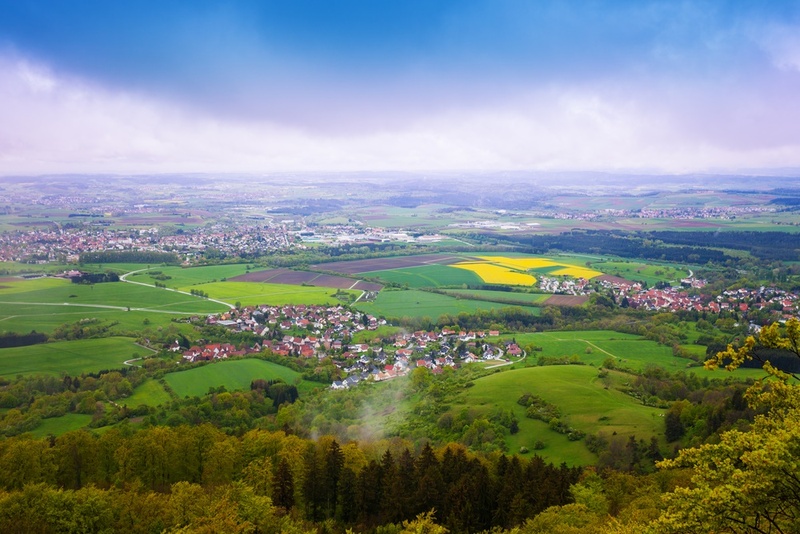 Hohenzollern is just under 1 hour south of Stuttgart, 2 hours and 45 minutes southeast of Kaiserslautern and 2 hours and 50 minutes south of Wiesbaden. Click on DB Bahn for train information. Author’s Profile: Wendy Payne is a military spouse and lives with her family in Stuttgart, Germany. She is a freelance writer, blogger, and photographer. She also enjoys gardening, hiking, yoga and sharing Europe with people.